Discogs confirms the Most Expensive Item Sold for June 2018 is the 1987 original Canadian pressing of Prince’s The Black Album selling for USD $27,500. As the only known production copy from Canada, that makes this version of The Black Album one of the rarest pieces of vinyl in the world. This Canadian pressing supplants the previous record holder, the U.S. variant of The Black Album selling in April 2016 for USD $15,000. Originally styled as The Funk Bible in press releases, The Black Album was slated for release in December 1987. At the last minute, Prince decided the album was “evil” ordering Warner Bros. to shelve the album and destroy every copy. Some promos had already been circulated, so they were out there to be passed around. 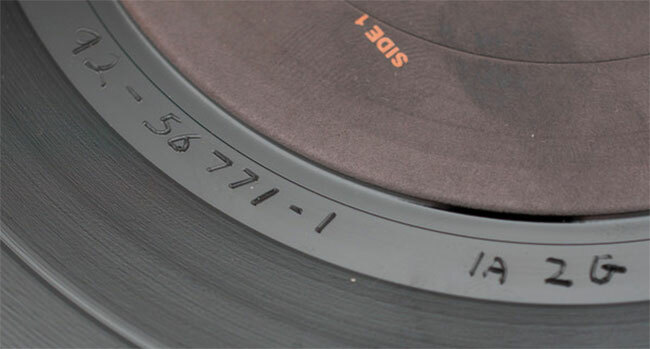 Consequently, those promo copies are how The Black Album became one of the most bootlegged records of all time. Only eight U.S. original vinyl copies have surfaced in the 30 years since, and now a single Canadian copy surfaces.